!SAVE THE DATE! 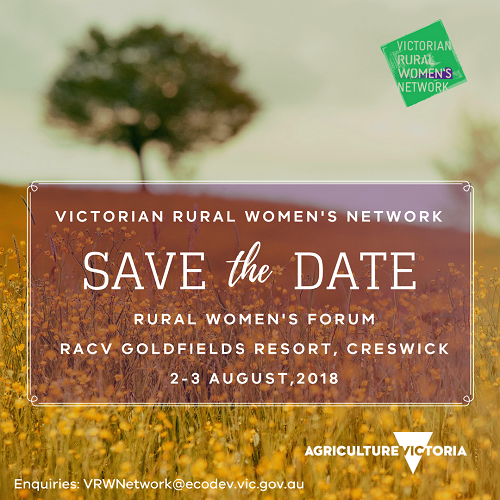 We are excited to announce the date of our Rural Women’s Forum which will take place at RACV Goldfields Resort, Creswick, on Thursday 2 and Friday 3 August, 2018. Join dynamic, like-minded rural and regional women at a gala dinner and take home practical skills from a series of energising workshops as we celebrate the first birthday of the revived Victorian Rural Women’s Network. More details coming soon! Im a subscriber but it wont let me register.